The Allied landings in Normandy on 6 June 1944 climaxed long months of planning and concentrated supply effort. The first build-up of men and equipment in England for a cross-Channel attack against the Continent had been drained away to North Africa in late 1942, and it had been necessary to build again. It took a great deal of time to construct and develop a system of depots, equip the invading forces, and plan an adequate communications network. Thousands of signal details had to be coordinated, integrated, and perfected. Signal Corps preparations for the invasion rested principally in the hands of the signal staffs of two separate headquarters. 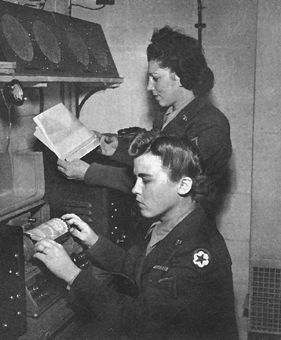 In their disparate yet intermingled relationships and functions, these headquarters staffs typified the dual function of the Signal Corps as a supply service and as a highly specialized technical service invaluable to the exercise of command.1 The Signal Service of the European Theater of Operations of the United States Army was concerned primarily with matters of supply and administration for the U.S. Army in Europe, whereas the Signal Section of the Supreme Headquarters Allied Expeditionary Force was responsible primarily for signal matters as they applied to the integration of British and American forces and to the tactical and strategic control of those forces. This distinction greatly oversimplifies what were actually very complex, confused, and often bitterly contested areas of responsibility.2 And it does not take into account the numerous subordinate or coordinate organizations that existed in the theater or the loss or addition of functions from time to time. Nevertheless, with due allowance for such factors, the signal responsibilities of the theater did divide roughly into the two areas noted. practical working experience in the United Kingdom. 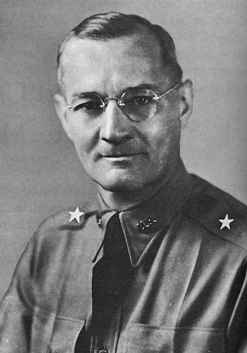 "4 Seven days after his arrival in late May 1941, Colonel Matejka conferred with Col. Courtenay W. Fladgate, Deputy Director Signals, British War Ministry, and inaugurated a cooperative relationship that proved to be exceedingly valuable.5 In the months that followed, Matejka visited various British communications installations and the General Post Office (GPO) Telecommunications Division, which controlled telegraph and telephone facilities in England; arranged details for the accommodation of Electronics Training Group (ETG) students from the United States to be trained in British schools and installations; and made many valuable contacts with British officers and officials.6 By the time the United States entered the war, the Signal Corps had already established informal relationships and working arrangements with the British that paid handsome dividends later. 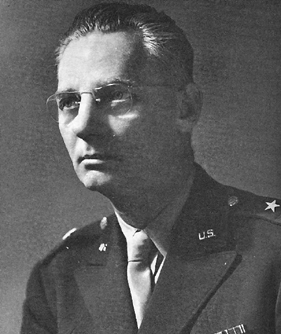 Essentially, the mission of the chief signal officer in the ETO was to provide communications for the Army while the buildup was in progress, to supply signal equipment for all the installations and headquarters and for the troops of the invading army, to arrange for the equipment required for fixed signal installations on the Continent in the wake of the invasion, and to keep replenishing the supply of signal equipment throughout the period of operation.9 Stated thus, it constituted a large order. Yet this outline of the mission does not begin to suggest the complexities and problems with which Rumbough contended throughout the campaign. The American forces in England increased rapidly in the first six months of 1942. Soon their headquarters occupied not only the main portion of the building at 20 Grosvenor Square, London, in which it was housed originally, but also several other nearby buildings.19 Each required its own telephone switchboard and interconnecting trunk lines. By October 1942 American forces in the vicinity of Grosvenor Square were using four switchboards, which handled 12,000 calls per day; one-third of these required interswitchboard trunking, which seriously impaired the efficiency of the system. Meanwhile ETOUSA officers searched for new quarters for the badly overcrowded signal center. The subbasement of the Selfridge department store annex, a nearly bombproof steel and concrete structure on Duke Street, offered enough space to accommodate both the Army and the Navy communications centers. Nearly bombproof in this case meant safe from anything but a direct bomb hit. On 19 December the signal center moved to the Duke Street location. About the same time that construction started on the Duke Street center (with a new central switchboard among other refinements) , the British Government offered a section of a public air raid shelter that was nearing completion. The signal center and the entire communications system serving the various United States Army headquarters grew to amazing proportions. The Signal Service, ETOUSA, made use of the existing British communications system as much as possible. The British GPO also furnished large quantities of telephone and teletypewriter materials. By D-day, 980 telephone switchboards and 15 teletypewriter switchboards served the various headquarters in the British Isles. The telephone switchboards had more than 1,200 positions. That is to say, more than 1,200 telephone operators sat at the 980 boards, endlessly plugging and unplugging the connections to 32,000 telephones. The same number of telephones could service an American city the size of prewar Spokane, Albany, Duluth, or Chattanooga. An average of 8,500,000 calls a month went over the system.21 A network Of 300 teletypewriter machines connected US installations in England, Wales, Scotland, and Northern Ireland. signal depot in the theater had been the one at Carrickfergus, Northern Ireland, operated by the 203d Signal Depot Company.29 That month five new signal depots opened. The 204th Signal Depot Company, spread thin, operated all of them until 1943, when the 208th and 216th Signal Depot Companies arrived in the theater to share the work.30 By December 1943 the Signal Corps had eleven depots-nine were section depots and two were branch depots. Meanwhile, in the zone of interior the commanding general of the Air Service Command (ASC) at Patterson Field, Ohio, charged that large stocks of Signal Corps ground equipment had been built up in the United Kingdom and that issues of ground signal equipment items for units ordered into the United Kingdom ought to be greatly reduced. He added that such a reduction would permit the Signal Corps to catch up on the production of critical items that were behind schedule.41 Presumably he had in mind production of signal items for the Army Air Forces. By early 1943, signal officers on the staffs of various organizations already in the theater-ETOUSA, Naval Forces in Europe (COMNAVEU), and the British Admiralty, War Office, and Air Ministry-had already done a great deal of valuable spadework.51 A plan had been developed for the full use of communications facilities existing within the United Kingdom. For example, communications posts and radio stations had been built along the southern coast of England as part of the British Defense Telecommunications Network (DTN).52 Thus, a good deal of preliminary signal planning was already under way by 26 April 1943 when a combined British and American staff charged with framing a basic plan for the invasion began work at Norfolk House in St. James Square, London, under the Chief of Staff to the Supreme Allied Commander. SHAEF grew so fast that not all of its staff could be accommodated at Norfolk House. By January 1944, part of the Signal Division spilled over into a makeshift building at Portland Court, twenty minutes away, and for a time signal planning suffered because of the separation of that staff. Resumption of German bombings in late winter forced SHAEF to move out of London altogether. The new location at Bushy Park, Teddington, near Hampton Court, on the southwest edge of greater London, brought all the Signal Division together again in March.60 Bushy Park was already headquarters for the US Eighth Air Force, which made its switchboard (code name WIDEWING) available to SHAEF until other facilities could be installed. The WIDEWING camp grew "incredibly quickly, using collapsible hutting which they [the Americans] seemed to be able to fit together to provide any size or shape of building required," commented Brigadier Lionel H. Harris, a British member of the Signal Division and chief of its Telecommunications Section.61 He added that the signal offices were more substantial and better protected from blast, a fortunate circumstance since otherwise they would have been flattened instead of merely bent, later on, by the near miss of a flying bomb. Some of the more important decisions of the CSB standardized the time basis and time expressions in messages throughout the theater; ordained a simple single-call procedure , for all ground force radio communications; established telephone priorities; assigned cross-Channel cable and VHF radio circuits; and allocated radio frequencies. Time after time the members met to deal with problems concerning wire and cable, radio and radar, siting procedures, security and countermeasures, radio ships and cable ships, air and boat messenger service, codes and ciphers, air warnings, signal troops, training, communications for the assault forces, for the navies, for the air fleets, and for the press, speech scramblers for telephone talk, and much more besides.66 Fortunately, by then a great fund of information had accumulated from experience in operations in North Africa, Sicily, Italy, and on the islands of the Pacific. In retrospect, signal planners were describing North Africa as "a small dress rehearsal for the great undertaking that was to follow. "67 The scale of communications , for OVERLORD was perhaps twenty-five times greater than it had been for TORCH. kilocycles to four. That meant grinding more crystals, and on extremely short notice, for it was 10 May when the revised frequency allocation list was issued. But in this specialty the Signal Corps had become proficient, even to the point where what had once been a most exacting laboratory technique was now transported into the field, and mobile crystal grinding teams were at hand. The task of providing crystals by the thousands, meticulously prepared, emphasized the one drawback to their use. 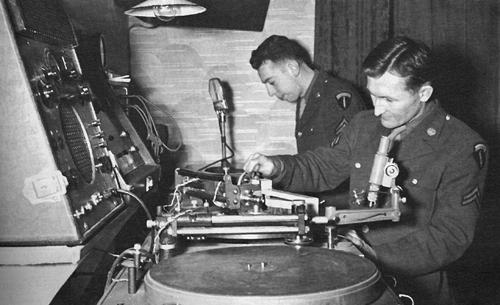 Nevertheless, the American decision to use crystal-controlled mobile FM radio greatly simplified the job of frequency control in the jam-packed spectrum of sky over Europe from D-day on. By D-day the Signal Division of SHAEF had laboriously turned out twenty-one signal instructions, section by section, complete with appendixes, charts, maps, and equipment lists galore.74 The signal instructions assigned responsibilities and laid down policies in general and in detail. Codes and ciphers furnished one example. The Combined Assault Code was to be used for all messages between headquarters engaged in an initial landing operation; the Combined Field Code, for all combined traffic where no other combined cipher was held; the Combined Strip Cipher, to supplement the Combined Cipher Machine. However, for the great bulk of heavy headquarters traffic, the Combined Cipher Machine system would assure secrecy on teletypewriter circuits, whether wire or radio. There were also joint and intraservice codes and ciphers, special purpose codes and ciphers (a radiotelephone code called Slidex, a map reference code, an air support control code, an air warning code, and so on) with rules for their use, together with many details on their security and on action to be taken if a system were compromised. Speed and mass were the key words in the Army message centers in those greatest of all signal preparations to date. Mass communication was in fact the goal, commensurate with the total wars of the 20th century. The Allies readied huge quantities of short- and medium-range radio sets, of wire-line stores for combat use by battalions, companies, and platoons. There were tens of thousands of sets waterproofed, their batteries fresh and fully charged; hundreds of thousands of miles of assault and field wire, enough for the 5 divisions by land and the 3 by air in the D-day assault, enough for the 16 divisions that would be in Normandy within five days, enough for the million men who would be ashore in three weeks, enough and plenty to spare for the losses in battle.78 But the focus of SHAEF signal planning centered on the massive traffic loads of the headquarters-the millions of words telephoned and teletyped, whether by wire or by radio, or by both integrated into one system-accomplished even in the fleeting conditions of a military camp and as handily as in the well-established civilian communications system of a large modern metropolis. ETO. Williams had been assigned a squadron of twenty-one light liaison aircraft for messenger work, but they could not be equipped with IFF (identification, friend or foe) radar recognition equipment, and without it Williams was afraid to let them fly the English Channel. Antrac, of course, could transmit facsimile pictures. But would the radiations, planned only for 25-mile jumps, be able to span the eighty-three miles to the far shore? Waite said he believed they could. One facsimile channel and an emergency circuit into Combined Headquarters at Portsmouth would suffice at first, to be followed by multichannel operation as soon as possible. to do with the electronic devices employed; all performed well. Meanwhile other signalmen of the 101st also were engaged in combat. Making their preparations for the invasion, the men had remodeled one of the powerful long-range SCR-499's, mounting it in a 1/4-ton trailer, which could be towed by a jeep.108 With the radio set crowded into one glider and the jeep into another, the men took off in the first flight of gliders from England. Four miles from the take-off point, the glider containing the jeep and its crew dropped. The other glider got away safely and landed under enemy fire. The signalmen unloaded the radio, hailed a passing jeep, and towed the set to the spot at Hiesville designated as division headquarters. They arrived while the men who had preceded them were fighting at Pouppeville. About 1800, the men got through to England with their first radio contact.109 This SCR-499 did yeoman duty on D-day and for the rest of the first week of the invasion, serving the two airborne divisions as their link to England. On the Allies' side of the Channel, radio countermeasure (RCM) plans, both to strike blind all radars in areas where the attack was coming and to create the appearance of a major attack where in fact only small deceptive forces were to operate, had long occupied the Allies. The planning required the most extensive cooperative action-British, American, Army, Navy. Through it all the Signal Corps played an important part, especially toward furnishing Signal Corps equipment, whatever the craft in which it was mounted or whatever the service responsible for operating it.112 In the RCM planning for the invasion of Normandy, the British had predominated, "in view of the greater operational experience and resources of the RAF and to a lesser extent of the RN," as a British report put it.113 American plans generally conformed to British proposals. Jammers, both British and American, of many sizes and types, were marshaled to make utmost use of their capabilities. A thorough effort had already been made to bomb or shoot up all enemy stations, but not all the efforts of Ferret planes, photo missions, and espionage could pinpoint each of the many enemy radars for the bombers' attention. For the invasion, therefore, Allied planes and ships carrying RCM equipment sought to jam every enemy radar station that had escaped destruction. During the night before D-day, eight Royal Air Force craft and four American B-17's patrolled high over the south coast of England and the northwest French coast, operating Mandrel spot jammers (AN/APT3's) tuned to the low frequencies of the enemy search radars, blinding them so that they could not see the vast air armadas forming over England and heading toward Normandy. At H minus 7, before the leading elements of the invasion fleet came within range of German sea search detectors ashore, Allied shipborne radar jammers were switched on to blind the German scopes. When within range of enemy artillery on the beaches, the Allied crews retuned their jammers, moving from the frequencies of German search sets to the frequencies of their gun-laying radars, so as to disrupt radar-aided artillery fire against the invading ships. According to plan, some 240 low-power sets (AN/APQ-2's, or Rugs) aboard light landing craft formed the inshore screen. Offshore, 60 medium-power RCM sets operated from mine sweepers and destroyers. At sea, aboard cruisers and battleships, 120 high-power jammers added their bit to the electronic screen. 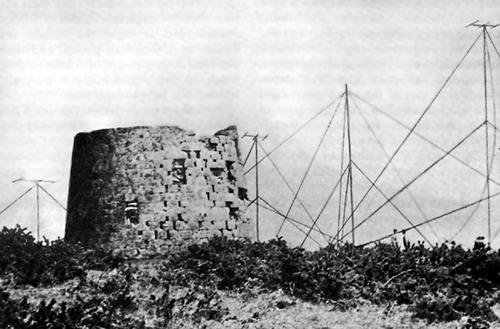 During the initial assaults, the congestion in the water and on the beaches forced the abandonment of a plan for the JASCO's to lay field wire between headquarters ships and the troops on the beach; therefore radio became of the utmost importance.118 However, the JASCO's spread their wire networks from 500 yards to a mile along the shore of the Cotentin peninsula and extended them from 5 to 12 miles inland. The biggest problem was to connect the forces on OMAHA and UTAH Beaches, which was done initially by radio link, then by laying spiral-four cable. 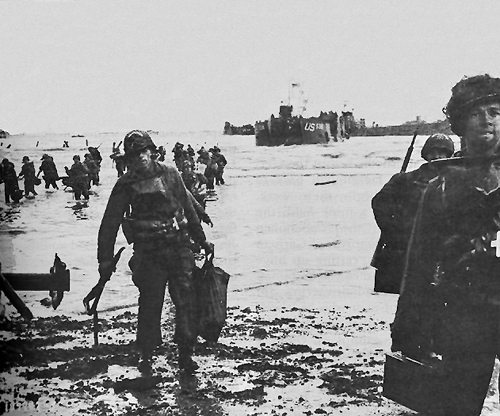 At UTAH Beach, VII Corps communications lay in the capable hands of the veteran 50th Signal Battalion.122 The battalion came ashore with the early waves of infantry at H plus 90. Of the various radio, message center, and wire teams, the forward section of the message center platoon under Lt. Alexius H. McAtee probably encountered the most frustrations. Prematurely landed in water so deep that most of their equipment was washed away, the men struggled ashore through heavy shelling and began operations as best they could. Battalion message center teams processed radio messages by flashlight throughout the night and in the morning initiated a "hitch-hike" messenger service to the 1st Engineer Special Brigade, since all message center vehicles had been washed away in landing.123 Other advance elements of the 50th promptly set up radio communications for VII Corps headquarters and from corps to the 4th Infantry Division, the 82d and foist Airborne Divisions, the Ninth Air Force, and the headquarters ships lying offshore. the sands while mortar and small arms fire continued to wound many of the men and severely damage some of the vehicles. The men moved the equipment over the beach and into the shelter of a draw east of St. Laurent-sur-Mer. By early the next morning the 555th Signal Aircraft Warning Battalion had its LW radars on the air and was reporting aircraft.125 The few German planes that attacked the beaches found a hot and ready welcome. All together in the month of June, eighty-five complaints of interference in HF radio channels came to the Signal Division of SHAEF. All were corrected except three, whose sources of interference could not be discovered.130 All in all the tremendously complex frequency plan for OVERLORD had succeeded well. As in every invasion in the ETO since TORCH, communications ships played a basic role. Aboard the FUSA headquarters ship, the USS Achernar, a 50-man contingent from the 6th Signal Center Team and the 17th Signal Operations Battalion handled the communications center. The USS Bayfield served as the headquarters ship for VII Corps. Also present was the "Lucky" Ancon, overhauled after her brush with German bombs off Salerno.131 The ship provided the communications headquarters of the V Corps under signal officer Col. Haskell H. Cleaves. Radio nets aboard these headquarters ships furnished communications between echelons of FUSA headquarters, both afloat and ashore in the initial days, as well as communications back to the army rear echelon in England.132 The headquarters ships hovered off the beaches for five days until the command post of FUSA was safely in operation. Then the men who had operated the centers disembarked and reported for duty to the 17th Signal Operations Battalion. Meanwhile, both the British and the American version of the new and tremendously significant innovation, multichannel radio relay, maintained heavy traffic loads. The equipment had been installed and put into operation much sooner than the cables. Moreover, it remained unaffected by the vagaries of the storms and hazards of the sea. equipment-the antracs-performed with spectacular success. Among the many persons who waited out the first anxious hours of the invasion were the two civilian engineers, Waite and Colaguori. Some days earlier, it had been determined that one of the civilians "would have the rather doubtful privilege of going into France on D-day or shortly thereafter. A coin was tossed, two out of three, and Mr. Colaguori won." As Colaguori prepared his equipment and truck and drove to the docks, officers and men of ETOUSA's Technical Liaison Division helped Waite with the installation on the Isle of Wight, atop the hill called St. Catherine's. On St. Catherine's crest the British (and US Navy, using British AM sets) had already placed the several terminals of the British VHF radio links intended to reach the British GOLD and JUNO Beaches. On the rounded grassy summit of St. Catherine's stand the ruins of an ancient tower. A watchtower centuries old, it had witnessed signals before, for it had been used as a station for signaling the approach of enemy ships, including, on one renowned occasion, the Spanish Armada. More recently, the ruins had served as a landfall for the German air fleets. Now, as a final touch in this mixture of the hoary remote and fantastic new, the Signal Corps men installed the paraphernalia of the first antrac in Europe. On D-day Waite and members of the 980th Signal Company, specially trained on the AN/TRC-4 and newly arrived in the United Kingdom, began a long and anxious watch. "We could see the ships by the hundreds heading for France at our very feet almost," said Waite, "and others coming back . . . shell fire and bomb explosions were always audible and at night the distant red flashes. . . . One day passed, and then another. A British circuit came in first, much to my regret since 1 naturally wanted our boys to land first." Fighting was heaviest at OMAHA. Colaguori, embarked on an LST with a unit of the engineers, could not get ashore throughout D-day. That night he succeeded, but it was many hours more before he could advance four hundred yards to the bluffs, where the fighting continued hotly. channel carrier system.134 Scores and hundreds would follow as the demand for antracs reached a crescendo. A communications platoon of 106 men was provided in order to operate a one-kilowatt radio station and its associated terminal equipment, which would provide circuits to England, from which point the traffic would be relayed to the United States over commercial channels. Divided into four teams-a group of 15 men for each of the two American armies, First and Third, another group of 33 to remain in London, and a fourth team of 43 men assigned to 1St US Army Group (later to 12th Army Group) -the platoon was slated to handle all press traffic for the US armies on the Continent during the first sixty days of the operation. Two selected commercial companies, Press Wireless and Mackay Radio and Telegraph, would then establish circuits from the Continent direct to the United States.146 Press Wireless was to become operational on D plus 60; Mackay, on D plus 90. Smith countered by asking if the Press Wireless organization would be willing to take their 400-watt transmitter to France and operate it directly to the United States, if such an arrangement could be made. The Press Wireless men "jumped at the chance to give it a try. "148 They believed that their transmitter could reach the United States directly and that it would be able to operate for as long as two hours a day. After that, they thought, it could easily work back to England, from whence traffic could be relayed. Certainly no news event in history created more interest than the official announcement on 6 June 1944 of the Allied invasion of Normandy. While the world waited anxiously for news, the twenty-seven selected war correspondents who had accompanied the First Army struggled to get their dispatches written, approved by the censors, and sent.151 In the American sector, the press radio circuits proved a sad disappointment. Six men of the communications platoon from the 72d Publicity Service Battalion landed about H plus 8. They carried with them a British 76 set, which they were to operate back to the base group in England until such time as the rest of the men could land with their SCR-399. The British set proved unsatisfactory for this purpose.152 Furthermore, the scheduled Navy dispatch boat courier service to take press dispatches back to England failed to materialize until a week after D-day. For the first five days the airplanes and ships evacuating the wounded carried press copy back to the United Kingdom.153 In addition, the Army carried a limited amount of press traffic over its operational circuits. Meanwhile Colonel Williams was under siege from the frustrated war correspondents, who demanded the use of Army circuits to file their press copy since the facilities the Army had provided for the press had not proved usable. Williams "did not propose to bog down (his) circuits to England with thousands of words of press material. "155 Since he was not authorized to permit Press Wireless to begin operating until SHAEF gave the word, pressure built up. Finally, after consulting G-2, who assured him that anything passed by G-2 censors could be sent, Williams told the Press Wireless team to go ahead. Press copy started streaming direct to the United States. (above) during an overseas broadcast. 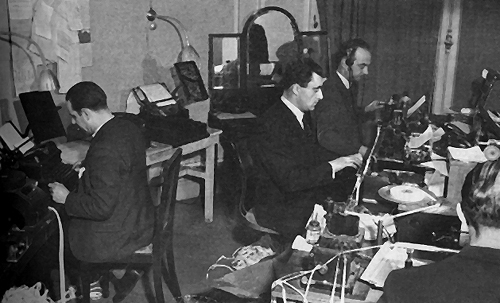 Newsmen at work in an improvised press wireless room (below). Detachment P of the 290th Signal Photographic Company hit OMAHA Beach with the 5th Engineers Special Brigade. Lt. George Steck, his two enlisted still photographers, and two motion picture cameramen started their photographic record as dawn broke on D-day. The first assault wave had already left the ship in the predawn darkness, but the photographers dared not use even a single flash bulb lest it alert the German defenders on shore. When daylight came, they started grinding out their invasion picture record, photographing the engineers waiting to go into battle. Their cameras caught the poignant vignettes of war-men checking their equipment, men saying goodbye to their friends, and the first casualties being brought back to the ship. First came five half-drowned crewmen from a tank that had been sunk going in with the first assault wave. Then the wounded from the beach started coming back. The boats carrying them were unloaded, then filled with the men going in with the second assault wave. The photographers climbed down into one of the pitching LCT's162 (landing craft, tank).